BRUSSELS, Belgium -- On Jan. 1, 2016, the European Union and Ukraine will start applying the Deep and Comprehensive Free Trade Area (DCFTA) which forms part of the Association Agreement signed in June 2014. The rest of the Association Agreement has already been in force since November 2014. The application of the DCFTA of the EU-Ukraine Association Agreement constitutes a milestone in the bilateral relationship, as it will offer new economic benefits to both sides. Ukrainian businesses receive stable and predictable preferential access to the largest market in the world with 500 million customers, while EU businesses will be able to benefit from easier access to the Ukrainian market and build new relationships with Ukrainian suppliers and cooperation partners. This will also be to the benefit of Ukrainian citizens, as they will have better access to high quality products, and increased competition and the lowering of import tariffs should lead to lower prices. 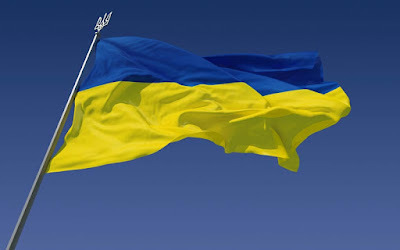 By its ambitious goals of approximation to EU legislation in areas such as competition, government procurement, and protection of intellectual property rights, the agreement will contribute to the modernization and diversification of the Ukrainian economy and will create additional incentives for reform, notably in the fight against corruption. The DCFTA will thus offer an opportunity to Ukraine to improve its business climate and to attract foreign investment, helping Ukraine to further integrate with the world economy. The EU continues to stand by Ukraine by providing assistance and making available advice and expertise, notably to help small businesses (SMEs) to grow and to take advantage of the opportunities granted by the DCFTA, in particular regarding the progressive alignment with EU rules. The DCFTA Facility for SMEs will complement existing EU programmes (EU SURE, SME Flagship) enabling SMEs to be better equipped to the changes in the domestic business environment. "With the DCFTA new opportunities are opening up for Ukraine in the EU and beyond, since European standards are often international standards. The EU will continue to support Ukraine and help with the necessary adjustments. We want to see Ukraine succeed and make use of the full potential of the DCFTA". The EU and Ukraine signed the Association Agreement with its Deep and Comprehensive Free Trade Area on June 27, 2014. The whole Association Agreement with its Deep and Comprehensive Trade Area will fully enter into force as soon as the ratification procedures in all 28 Member States will have been finalized. General provisions and parts of the political and cooperation association chapters are already being applied provisionally since November 2014, to which the trade related provisions (the DCFTA) are now being added from 1 January 2016 onwards. EU exports to Ukraine amount to €17 billion and Ukraine imports from the EU equaled €14 billion (data for 2014). Main EU exports to Ukraine consist of machinery and appliances (€5.7 billion in 2013), transport equipment (€2.6 billion), chemicals (€3.7 billion) and manufactured goods. Ukraine's main exports to the EU are base metals (€3.5 billion in 2013), vegetable products (€2.8 billion), mineral products (€2.7 billion), machinery and appliances (€1.2 billion). Independent studies suggest that the simple implementation of the AA/DCFTA would bring benefits of ca. 6% of additional Gross Domestic Product over the medium term and 12% in terms of increased welfare for Ukrainians. Much more can be expected if Ukraine genuinely implements the reforms foreseen by the Agreement, as they would improve the business climate and help to attract foreign investments and technology transfers. The EU will continue its significant support to Ukraine to support the implementation of the DCFTA – as for instance in the area of product regulations, public procurement, food safety measures, rules on competition and customs etc. – notably by mobilizing expertise from the EU Member States to work with their Ukrainian peers. In addition, the EU pays a special attention to support the private sector – the small business at the first place – so it can reap the benefits of this agreement, and generate economic growth and jobs for Ukraine. Indeed, the DCFTA will affect not only exporters to the EU, but all companies: the domestic business environment will also be progressively aligned with EU rules. These changes will in the medium to long-term play out to Ukraine's benefit, but in the short-term may be challenging for SMEs, which may need extra skills and more financial resources to adapt. To reply to these needs, the European Commission – jointly with the European Investment Bank (EIB) and the European Bank for Reconstruction and Development (EBRD) – has put in place the DCFTA Facility for SMEs. The Facility will complement the EU programs in Ukraine that help small businesses to grow – such as EU SURE and the SME Flagship. The DCFTA Facility for SMEs will receive for its operations in Ukraine approximately €100 million of grants from the EU budget. This contribution is expected to unlock at least €1 billion of new investments by Ukrainian SMEs, to be financed largely by new loans supported by the Facility. Enable SMEs to comply with new food safety, technical and quality standards, as well as with environmental protection measures, thereby benefiting Ukrainian customers and boosting exports to the EU and beyond.